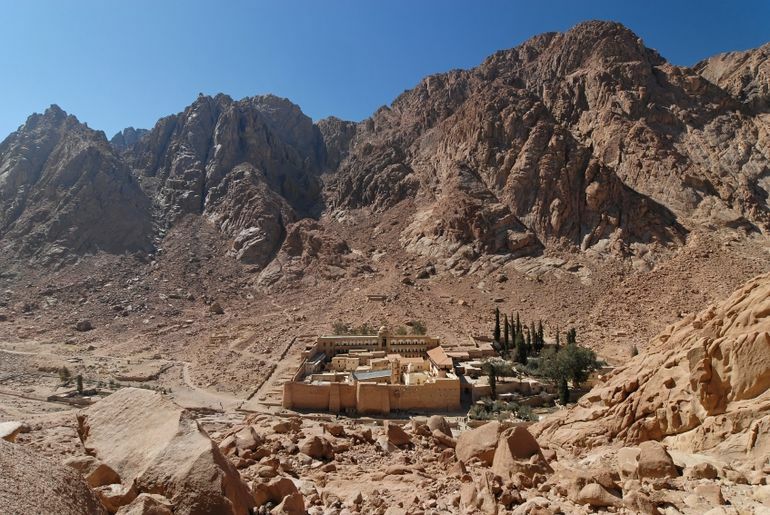 St. Catherine’s Monastery at Mount Sinai in Egypt. 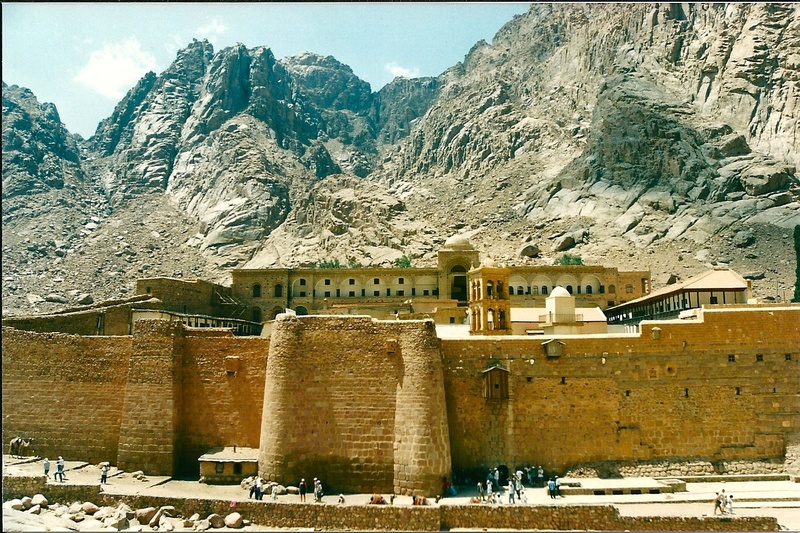 The Monks complained to Justinian about raiders and so he built them these impressive walls which still stand today. I thought it was appropriate to end Justinian’s reign on this image. It’s reflective of the scale of his building and his commitment to his faith. But it also shows you the vulnerability of the 6th century Byzantine world. The walls are impressive but in an earlier age they would not have been needed. Love that last image of St Catherines. Keep up the good work. Around 10 minutes in, it sounds like you’re being interrupted by a sheep! I assume that was a sound mark for you to catch it in editing? I loved reading Warren Treadgold’s History of Byzantine State and Society; one of the few hardcovers I ever bought for a college class. I wondered if you were using him as one of your secondary/tertiary sources. It was and WT is indeed one of the books I use. I am a big fan. You can see all the books I use on the Bibliography page (top right). I just finished the History of Rome podcast and discovered your podcast. I was thrilled to see the story continues and I’m enjoying every minute of it! I have at last caught up with the podcast, and would like to mark this moment by thanking you for continuing the story of the Roman Empire. The small contribution you requested in return for episode #28 no doubt pales in comparison to the amount of time it has taken to research, record and edit all these episodes, but I hope enough people took it as an opportunity to show their support for this project. As for Justinian himself, being somewhat guilty of a self-imposed blind eye to later Roman, or Byzantine, history, it was interesting to hear about the man who ruled alongside Theodora, she of great ‘Civilization 5’-fame. It makes her quip in said game – ‘Now that riots are needed, friend, we’ll teach you a lesson!’ – very understandable indeed. I think you did a great job covering his reign Robin, really gives us both the pros and cons of it. I have to say i’m a bit sad to see the end of the Justinian era, because it is really the last time the Romans had a chance of really putting back a real ‘Roman empire’..
Really enjoying your work on the History of Byzantium – always glad to see more attention paid to the Byzantines, who are so often overlooked. Incidentally, what was your source for pictures of St. Catherine’s? I went there myself in 2011 and the pics took me right back. What great work you are doing. I know this comment is late. I’m was listening every week for awhile, but fell behind because of life events (also, I relistened to the early Justinian episodes several times because they were so interesting). Great podcast! However, I think your evaluation of Justianian as a good or not good emperor missed the mark a little. I agree that he should have reevaluated his campaign tactics etc in light of the plague, but I think it is important to remember that we are looking at it with an understanding of science and medicine that was completely unknown at the time. When the plague first hit, and for at least a few recurrences thereafter the people of that time probably reasonably believed it was over, as they had no idea about the pathology of the disease. Justianian had no idea that this would repeatedly plague Europe in the future (pardon the pun). In that light, it was understandable to move forward with his plans. Regardless, I think the bigger question is whether the whole empire would have fallen apart if another leader had been at the helm in such a crisis – particularly when you consider the number of outside enemies circling the empire. We can never know, but I suspect it is likely. Hadrian’s approach to managing the empire was better, but then again he had much better cards to play following Trajan including a healthy population and relative peace. Just imagine what Justianian might have accomplished with such circumstances. Obviously I stand by my assessment. My argument is that he put his own glory ahead of what was best for the Empire. During the preparations for the final invasion of Italy a huge Slav migration took place which the army had to be diverted to put down. Yet still the invasion went ahead. Justinian was smart enough to see that the Balkans were not adequately defended and yet he dispatched a whole field army to conquer Italy. He was stretching the Empire thin when he could have chosen not to. As I said in the episode he clearly had the ability to be a great emperor but his record doesn’t stack up. Well, regardless of Justinian’s greatness, this is a great podcast. Thank you for all your efforts.